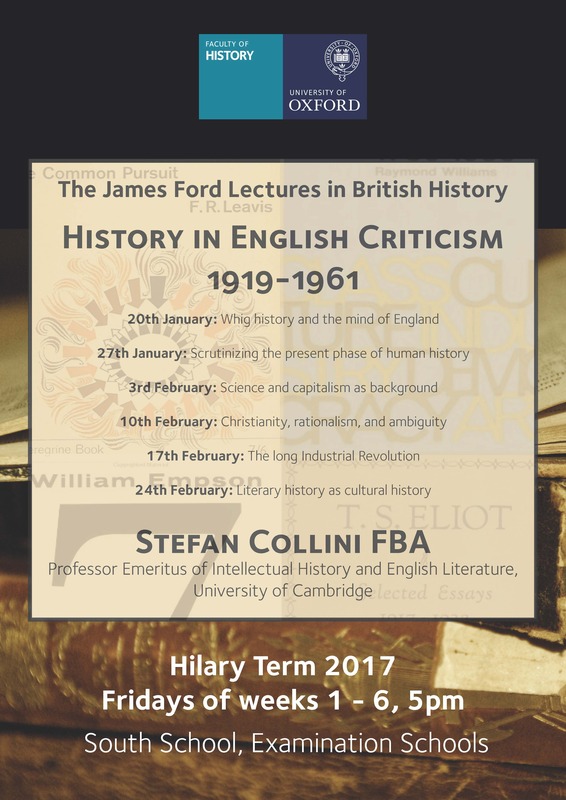 The Ford Lectures in British History were founded by a bequest from James Ford, and inaugurated by S.R.Gardiner in 1896-7. 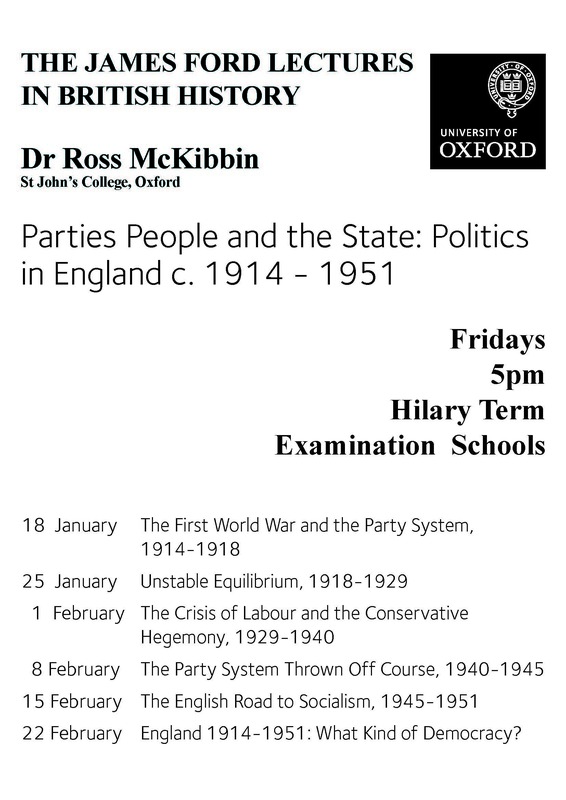 Since then, an annual series has been delivered over six weeks in the Hilary term and they have long been established as the most prestigious series in Oxford and an important annual event in the History Faculty calendar. 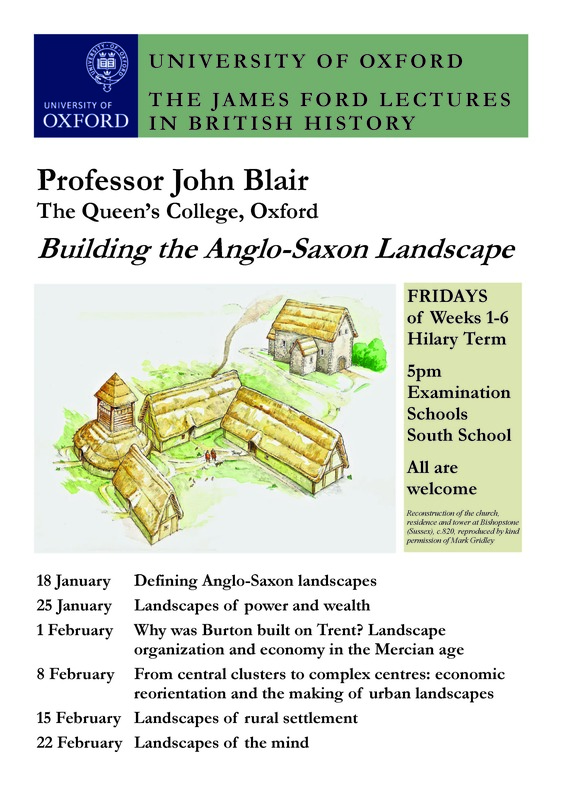 Though sometimes elected from among the Oxford History Faculty, the Ford Lecturer is often a distinguished visitor from elsewhere in the United Kingdom, or further afield; towards the end of the series, the Lecturer generally convenes a seminar for faculty members and students, where the themes and ideas of the series are discussed. 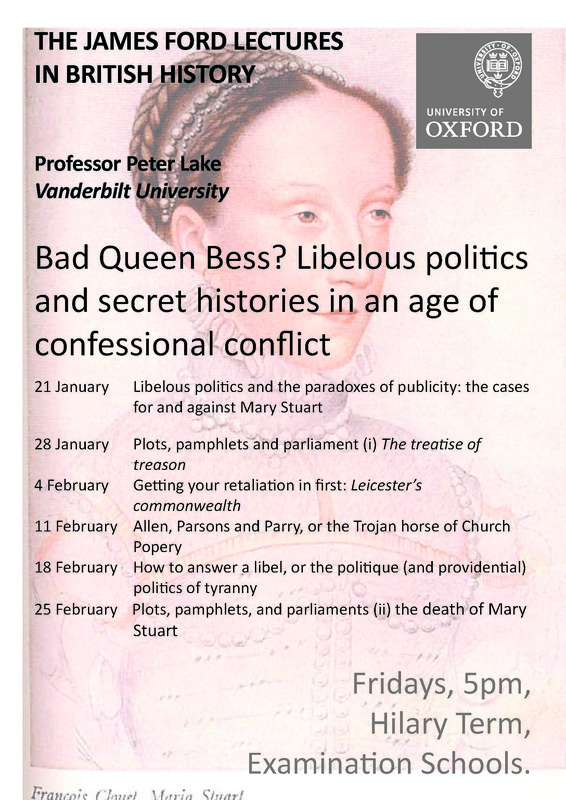 Alternating between medieval, early modern and modern history, the Lectures have provided a showcase allowing distinguished scholars to present their work to an Oxford audience, in a scholarly but accessible way; the attendance, which is often very large, habitually includes people from outside Oxford. 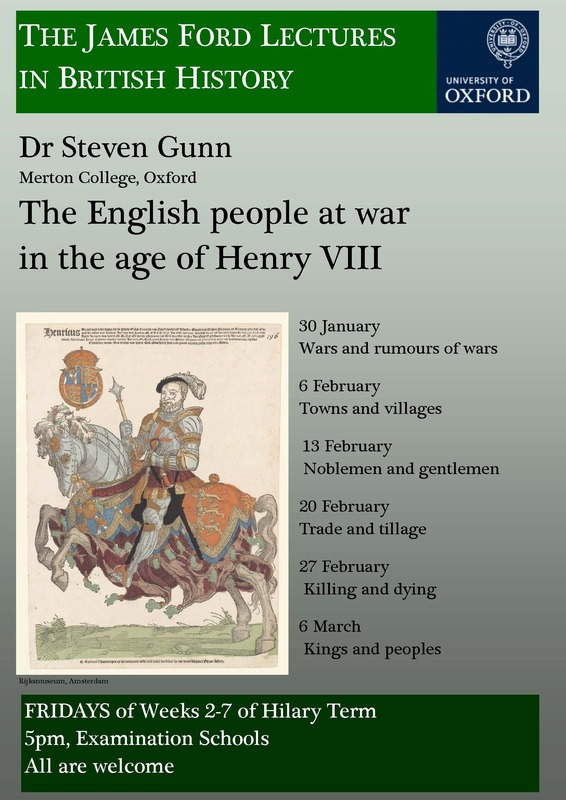 The Lectures invariably result in important books, many of them classic and pioneering works of British history. As the single greatest catastrophe in recorded history, the Black Death of 1348-9 continues to grip both the popular and scholarly imagination. 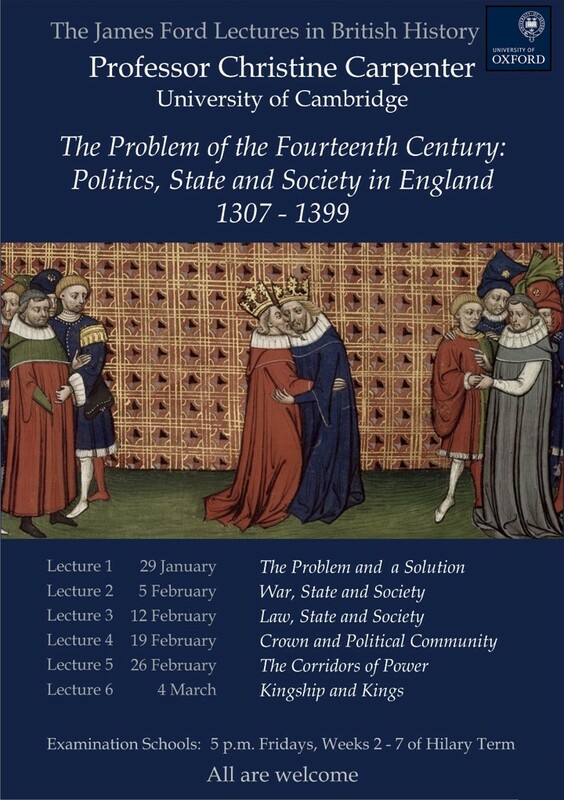 This series of six lectures reassesses the main social, economic, legal and cultural responses to the great mortality during the second half of the fourteenth century and explores how they were shaped by the prevailing institutional framework—the rules, laws and belief systems—regulating social and economic behaviour in England. 1997-8 Professor R.R. 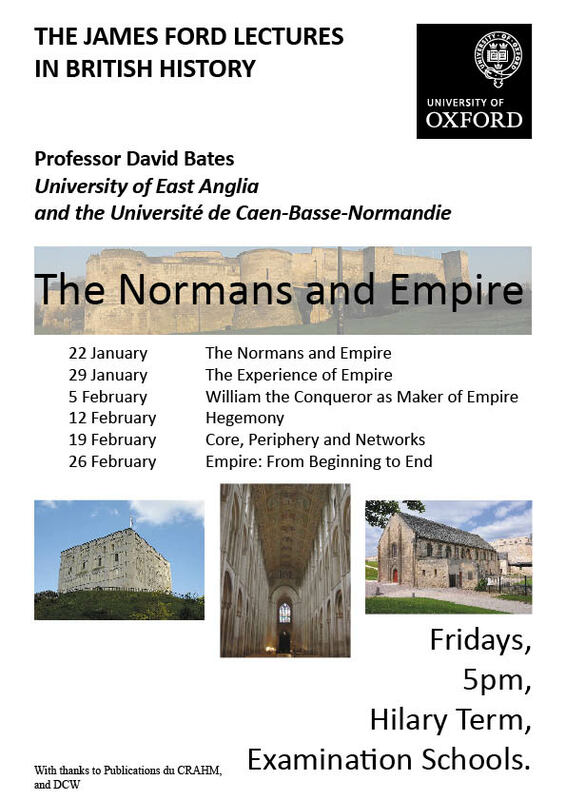 Davies Beyond the English State: Power, Societies and Identities in the British Isles. 1996-7 Professor J.F. Harris A land of lost content? Visions of civic virtue from Ruskin to Rawls. 1995-6 Mr J. Campbell Origins of the English State. 1994-5 Dr P.A. 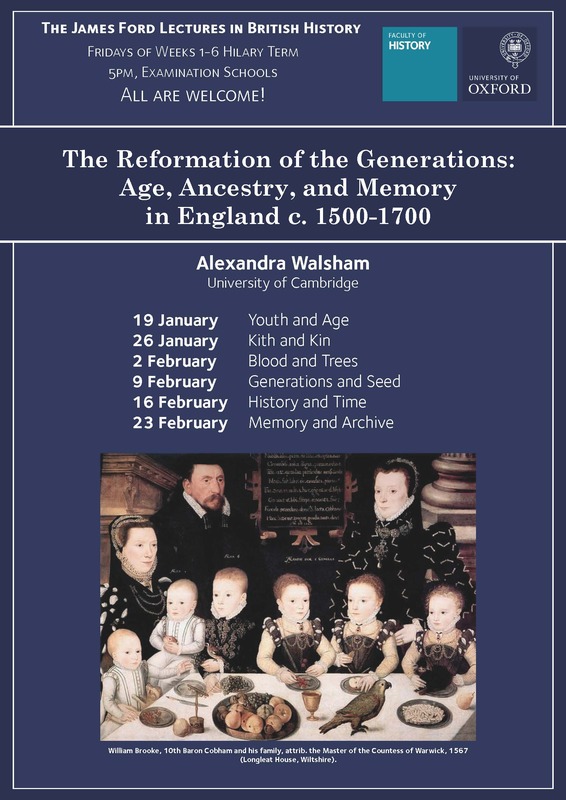 Slack From Reformation to Improvement: social reform and public welfare in England 1500-1740. 1993-4 Professor F.M.L. Thompson British Society, 1780-1980: Enterprise Culture and the Gentrification Syndrome. 1992-3 Professor P.H. Sawyer Wealth in Anglo-Saxon England. 1991-2 Professor David Underdown The Political Nation of 17th century England. 1990-1 The Rt. Hon. Lord Briggs Culture and Communication in Victorian England. 1989-90 Dr Paul Langford Public life and the propertied Englishman 1689-1798. 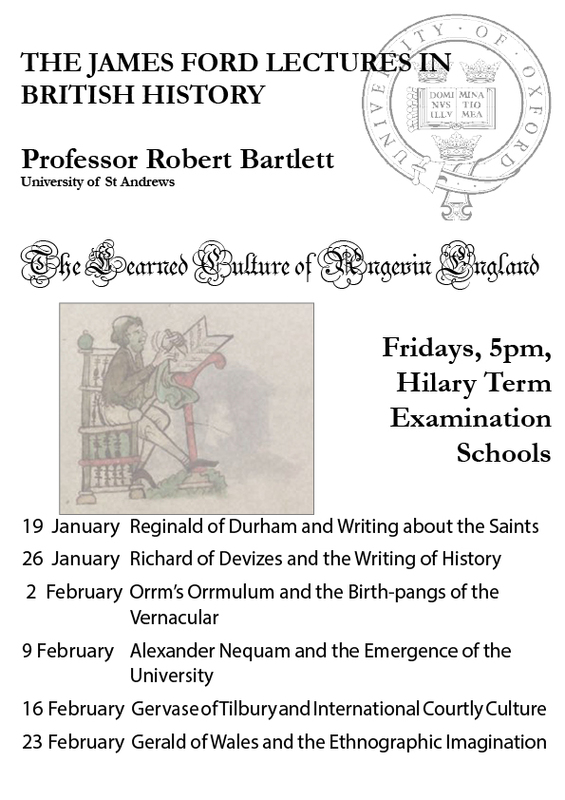 1988-9 Miss B.F. Harvey Living and dying in England 1200-1540: the monastic experience. 1987-8 Professor C.S.R. Russell The Causes of the English Civil War. 1986-7 Professor K. Robbins The Blending of Britain 1880-1914. 1985-6 Professor S.F.C. Milson Law and Society in the 12th and 13th centuries. 1984-5 Sir John Habakkuk The English Landed Estate 1650-1882. 1983-4 Professor I.R. Christie Stress and Stability in late 18th Century Britain. 1982-3 Mr J.O. Prestwich The Place of War in English History 1066-1214. 1981-2 Professor J. Scarisbrick Religious Attitudes in Reformation England. 1980-1 Professor W.O. Chadwick Britain, the Pope and Appeasement 1935-1940. 1979-80 Professor D.A. Bullough Alcuin: The Achievement and the Reputation. 1978-9 Professor P. Collinson The Religion of Protestants: The Church in English Society, 1559-1625. 1977-8 Professor F.S.L. Lyons Culture and Anarchy in modern Ireland, 1890-1939. 1976-7 Professor G.W.S. Barrow The Anglo-Norman Era in Scottish History. 1975-6 Professor J.P. Kenyon The Politics of Oligarchy 1689-1720. 1974-5 Dr I.J. Thirsk Economic Policy, Economic Projects and Political Economy, 1540-1700. 1973-4 Professor J.A. 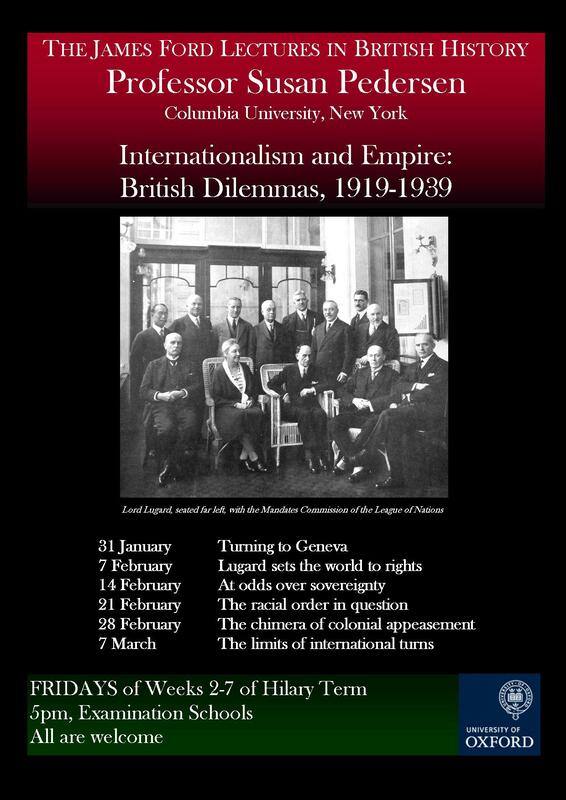 Gallagher The Fall of British Imperialism: domestic constraints and external dangers 1916-47. 1972-3 Professor R.H. Hilton Peasantry in late medieval England. 1971-2 Professor G.R. Elton Policy and Police: the enforcement of the Reformation in the age of Thomas Cromwell. 1970-1 M.E. Howard The Gouty Giant: Reflection on British Defence Policy in the era of two World Wars. 1969-70 Dr J.M. Wallace-Hadrill Early Germanic Kingship in England and on the Continent. 1968-9 Professor C.H. Wilson Queen Elizabeth and the Revolt of the Netherlands. 1967-8 R.N.W. Blake The Conservative Party from Peel to Churchill. 1966-7 Miss Beryl Smalley Intellectuals and Politics in the twelfth century. 1965-6 Dr J.H. Plumb The growth of political stability in England 1675-1725. 1964-5 Professor E.M. Carus Wilson The rise of the English woollen industry. 1963-4 Professor Norman Gash Reaction and reconstruction in English politics 1832-52. 1962-3 Professor D.C. Douglas William the Conqueror: the Norman impact upon England. 1961-2 J.E.C. 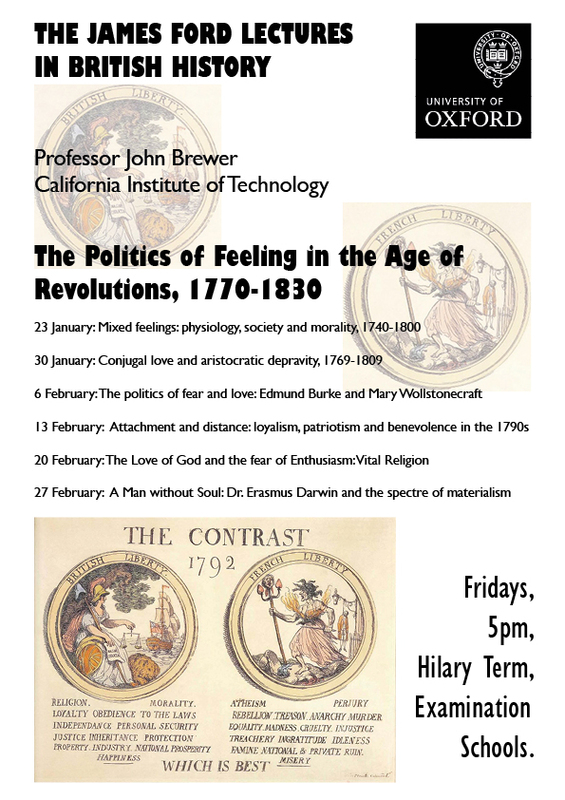 Hill Intellectual origins of the English Revolution. 1960-1 Professor J.G. Edwards English Parliament in its second century.